This year Ridgeway Radio is celebrating the 50th anniversary of hospital radio in Dorchester. Two Presenters from Sandwell Hospital Radio will be attempting to break the world record for the longest radio marathon DJ team of two people. 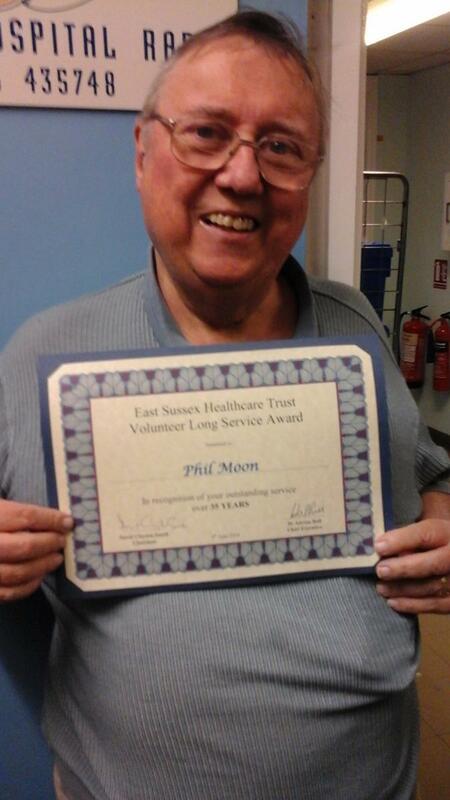 Phil Moon, the newly elected President of Eastbourne's hospital radio, Radio DGH, had his 35 years of voluntary service with the station acknowledged at a ceremony on 6th June. The Chief Nurse, Alice Webster, called forward volunteers with gradually increasing years of service until she got to 35 years. Only one recipient, Phil Moon, came forward to receive his certificate and a specially commissioned glass trophy. 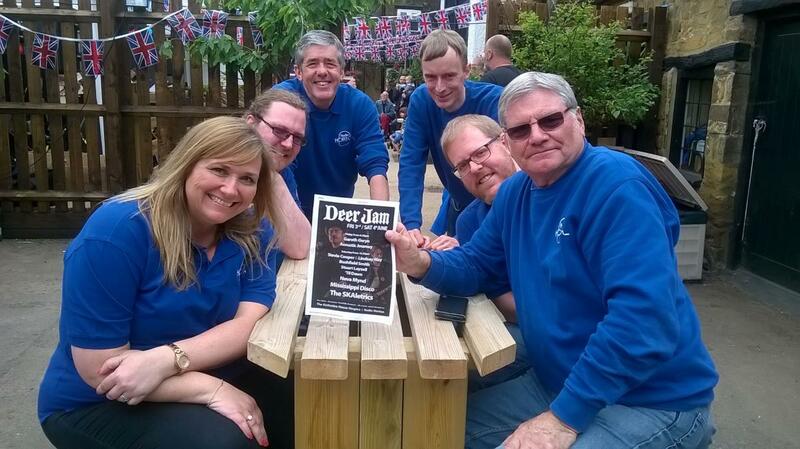 Two local charities were under the spotlight at the annual DeerJam Music Festival, held at Banbury's most historic pub, the Ye Olde Reindeer Inn. HBA has responded to the consultation by the Cabinet Office regarding the introduction of regulations permitting the conversion of charitable companies and CICs to CIOs. To borrow the lyrics of the seventies Wings song “Uncle Albert” – or should we say “HBA across the water”? Yes the weekend of the 6-8th May saw representatives of the HBA Southern region hold their final official regional meeting in the Channel Island of Guernsey. Arriving in beautiful warm sunshine, delegates checked in to the Peninsula Hotel on the Island’s west coast – famed for its sandy beaches and spectacular sunsets. Read more about "Hands Across The Water"
In this edition of On Air, find out the latest from the hospital radio conference and awards weekend; the results of the HBA's Impact Study into hospital broadcasting and how Milton Keynes have used a grant from the HBA to help build a second broadcast studio. Also June's Travels, news from other stations acorss the UK, and a selection of awards photographs. Congratulations to all our HBA National Hospital Radio Award winners. Here is a full run down of who won what at this annual event. It shows stations offer a unique service, giving patients a sense of belonging and helping their psychosocial health, from relieving boredom and loneliness to being a calming influence at what can be – for many - a difficult time, in a strange environment.